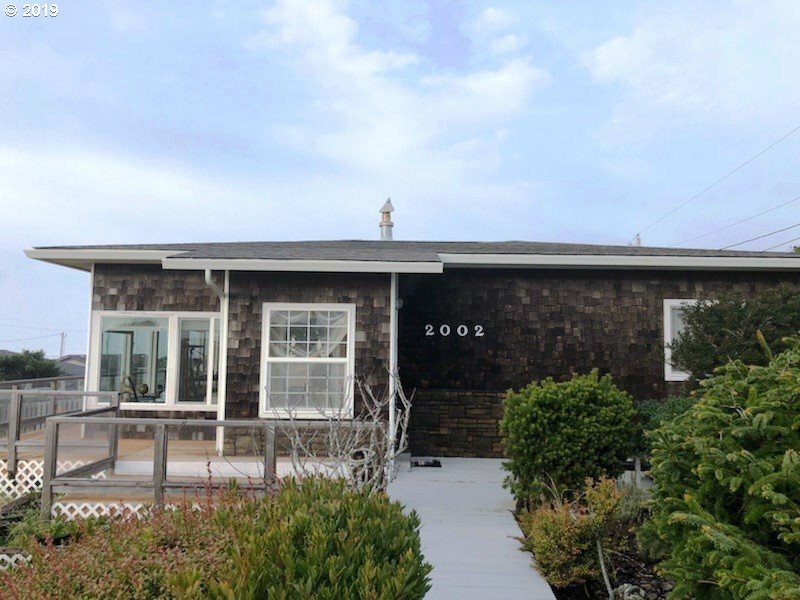 All Waldport homes currently listed for sale in Waldport as of 04/23/2019 are shown below. You can change the search criteria at any time by pressing the 'Change Search' button below. If you have any questions or you would like more information about any Waldport homes for sale or other Waldport real estate, please contact us and one of our knowledgeable Waldport REALTORS® would be pleased to assist you. "This high quality constructed lavish home has all the allure to impress, entertain, and enjoy. There are two master suites, a spacious widow's watch, wrap-around decks, over sized garage, family room, gourmet kitchen with 180 degrees of majestic ocean and bay views. The home is built with some of the finest cedar wood from the siding, to the trim. Truly a brilliant design with much more than listed! Prime coastal living.."
"High Quality Craftsmanship in this beautiful SINGLE level home with sweeping views of the Pacific Ocean. This home features 2 bedrooms, office and a gourmet kitchen. Enjoy wonderful sunsets and storm watching from this unobstructed view. Close to deeded beach access and the private park with many trails winding to and around Hidden Lake." "POWERFUL PACIFIC OCEAN stretches out with no obstructions from every vantage point. Oversized decks & banks of glass blur the lines between inside & out. Meticulously cared for, beautiful, solidly built for the coast. Living room with fireplace. Dine in the oceanview kitchen. No reservations needed! Exceptional master ensuite has a private oceanview deck. Zen garden, oceanview hottub.4 addit. adj. lots avail for a total price 0f 425K"
"You will love this cute homey beach house! Less than 2 blocks from the beach. Lots of windows to enjoy beautiful expansive ocean views. New deck to relax on & enjoy sunset ocean views. Fenced yard with volleyball ct. and horseshoe pit. Enough room for the entire family to enjoy. A quick walk to a quiet beach. House is newly remodeled and in a private setting. Quiet area. Friendly neighborhood. Perfect for vacation or full time living."